A buffalo sits contently, chomping on a blade of grass. Nearby a fiery redhead positions herself, camera in hand. The buffalo hears movement and it’s large, black eyes meet the girl’s lens. The shutter opens and closes. The image is captured, the beast frozen in time. Bregelle Whitworth Davis slings the camera over her shoulder and walks away. 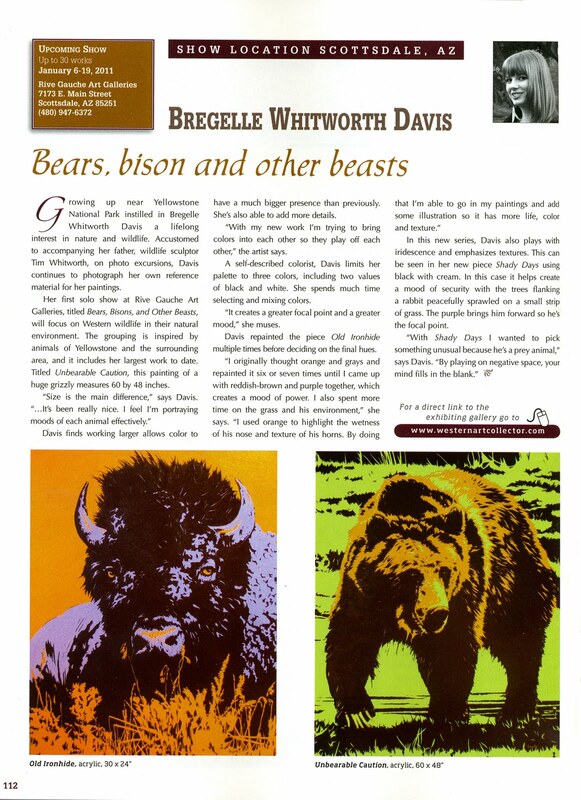 Bregelle Whitworth Davis has a multitude of skills on her resume. As a painter, photographer, designer and jewelry-maker she transfers her creative energy into a variety of mediums. Raised by a family of artists with an illustration degree from Brigham Young University of Idaho, Bregelle lives and loves art. She looked to her father to learn the craft and to gain an understanding of the concepts of art. “My dad is an electrician by day and a fine artist by night,” she says. 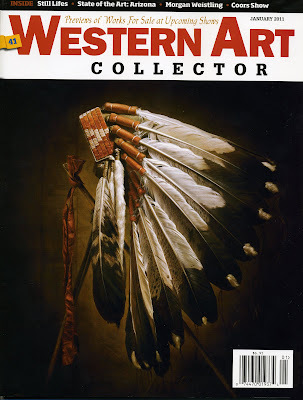 Bregelle’s husband Tyler also went through the illustration program at Brigham Young Idaho and intends on using his degree to teach illustration and create book cover art. Bregelle draws inspiration from both men in her life and uses some of their photography as a reference for her paintings. In fact, her painting process goes like this: She photographs the subject she wants to paint and then sketches out thumbnails or uses the photograph as a reference. Next, Bregelle sketches the subject on canvas. Using no more than three colors, she paints in the sketch creating a trendy, neo-pop piece of art. “Color is the most important part of the process,” she says. “The colors need to work together and balance each other out.” If Bregelle feels like any color is too overwhelming or gets lost in her painting she will work to find the right balance. Unique is also a great way to describe the artist herself. As a child growing up in Sugar City, Idaho Bregelle always begged her mother to let her paint her room. “I would collect paint samples from stores,” she muses. “It was my greatest desire!” Though her mother continuously shot down her decorative ideas, it did not stifle her creativity. While painting in her studio, Bregelle listens to books on tape. “Murder mysteries keep me guessing and are not too involving. I especially like the old classics.” Her eccentric style, painting habits and childhood obsession with wall paint make her an artist worth knowing. 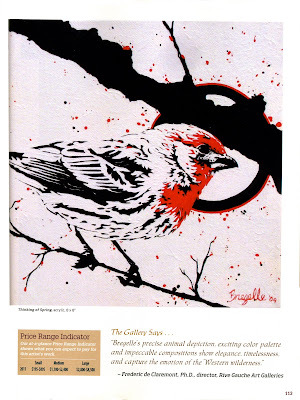 Bregelle is currently showing her work in four galleries and has done several solo and group shows. 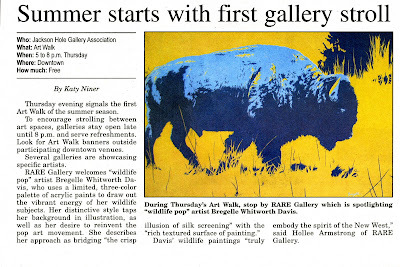 In 2009, she painted a series of six pieces of movie images to be featured during the Sundance Film Festival. “I wanted to paint movies I love and have a connection to,” she says. Her paintings included scenes from Breakfast at Tiffany’s, Dumb and Dumber, Little Shop of Horrors, Scoop, Hatari! and Oscar. Along with shows, Bregelle has also done some commission work. In fact the piece she is proudest of was done specially for an art collector in Salt Lake City, Utah. The work is a 1940s art deco piece which depicts a couple dancing, the woman dressed in full flapper attire. “It was hard to assemble Timeless Encounters because I had to find a specific photo reference,” Bregelle describes. 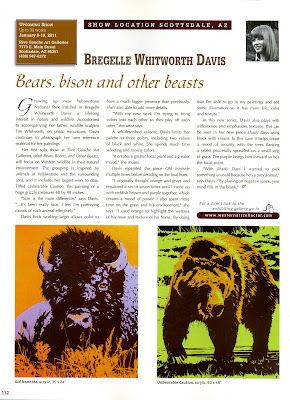 Bregelle Whitworth Davis’s work is trendy and mod. Her painting technique resembles the crisp illusion of silk screening, but with rich textured surface of painting. Come by Red Line Gallery to view her featured pieces. 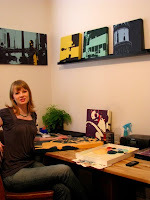 Also, check out her awesome blog at http://bregelle.blogspot.com/ to keep up with her latest creations. Just over one year ago, a new artist appeared on the local art scene. She is known as Bregelle. Making her début in the Silver Queen Fine Art Gallery during the 2009 Sundance Film Festival, she began to make her mark on the world. 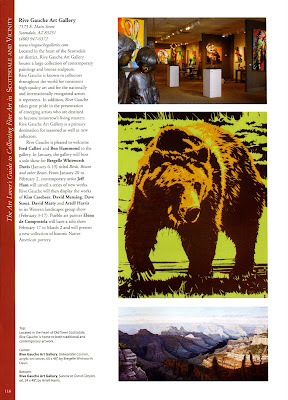 Since her opening last January, Bregelle’s artwork has been exhibited in multiple shows and venues in the Salt Lake Valley and Jackson Hole, Wyoming. Bregelle draws additional inspiration for her work from a wide variety of places; from her illustration background, artists like Alphonse Mucha, and her talented husband Tyler Davis to name a few sources. Bregelle doesn’t limit her inspiration only to other artists, she also gathers ideas for color combinations from the world around her, including some rather odd places; gum or candy packaging, clothing in a laundry hamper, or even two colors crossing paths in nature, as such a flower in front of a brick house. Having enjoyed showing her work in two states, Bregelle is getting her name out there. 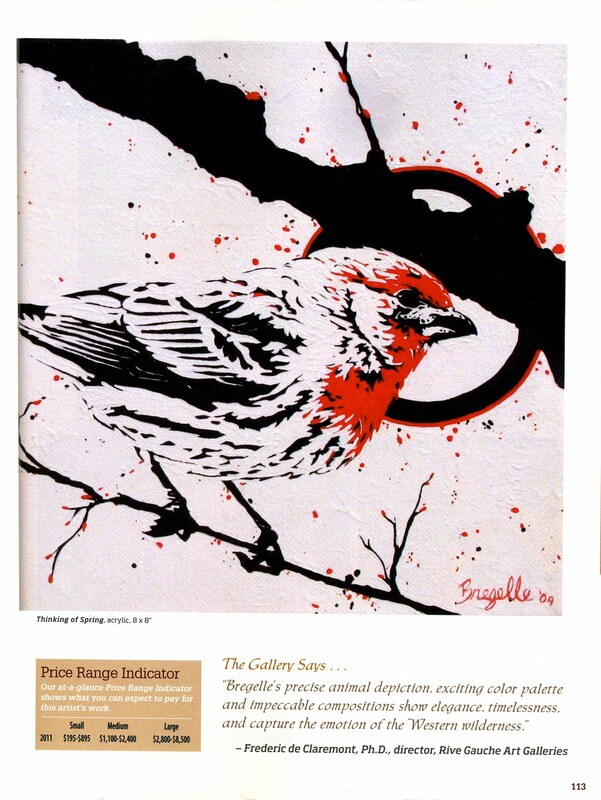 Bregelle’s fast growing popularity over the past year has defiantly placed her as new favorite in the local art scene. 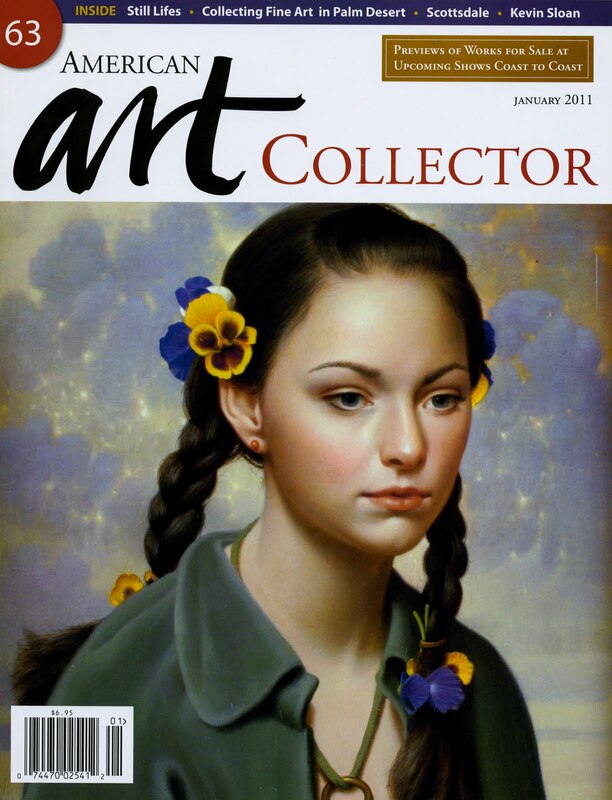 She is one artist that is expected to reach great heights and will be closely watched in 2010.